Cincinnati is a city that has many unique qualities. When we think Cincinnati we think of things like, Graeters Ice Cream, Skyline Chili, Fiona, the first major league baseball team ever, and many other things that are very Cincinnati-an. Archery Arena is proud to be another feather in the cap of unique Cincinnati attractions. 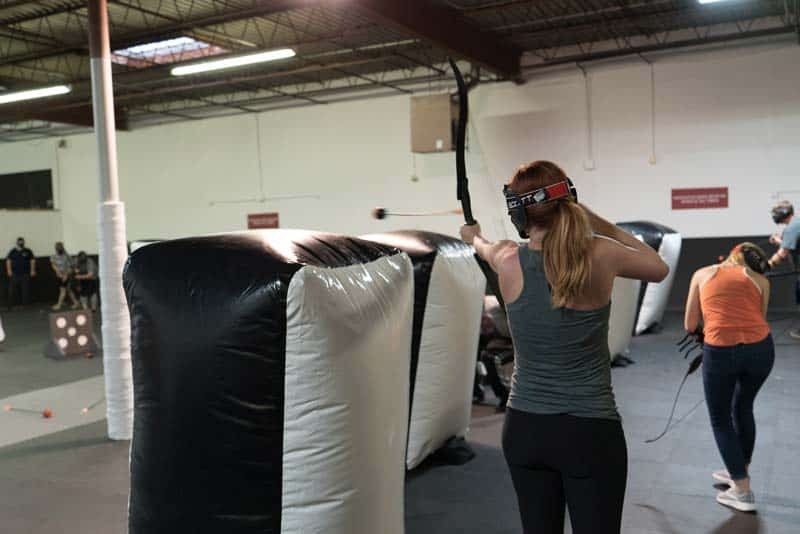 Cincinnati is now the home to the only combat archery arena in the midwest. Shooting your friends with bows and arrows is now as Cincinnati as pigs that fly. The fastest and simplest way to describe combat archery is to think about it like dodgeball with bows and arrows. Specially made bows and arrows. The arrows are custom-made just for the sport and made in a way that is safe but also provide realistic flight qualities that make the game extremely fun and challenging. Each session is hosted by one of our arena hosts that train, referee, and entertain you and your friends. The sessions become progressively more challenging as time goes on and force players to work as a team to succeed. Ultimately, at the end of the session, only one person can be crowed the champion. I’ll let you come and see for yourself how the champion is crowned. Let’s just say, you will learn a lot about your friends. Do I need a large group? The beauty of combat archery is that there are game types from groups as little as 3 or 4 all the way up to groups of 2o players. You can book a spot as an individual and join a larger group or bring your entire softball team, Crossfit gym, groomsmen, etc. The best way to book a combat archery session is to reserve your spot online here. We host games on the hour, so you reserve your time slot, then show up about 15 minutes before your game. 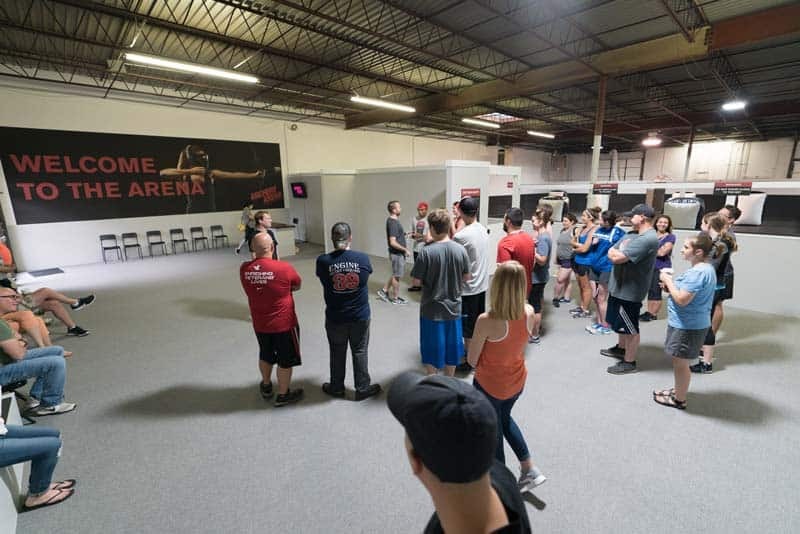 You can reserve a spot in person at our arena in West Chester, however, if that time slot is full then you will have to wait until the next available session. If you reserve your spot online you will ensure you aren’t waiting around to play. The reason why Archery Arena exists is because I played combat archery abroad and really fell in love with the sport’s ability to help connect people. I played on a team with players that spoke very limited english and by the end of the game I was fist bumping and high-fiving people I otherwise would have never connected with. For this reason, we will always have the individual ticket option that allows players to join any public game with space available. Engaging our community and bringing people together is a key part of our core values. Cincinnati is an amazing place to live, work, and now more than ever, to play.